What is the 3576-8442 tape drive? 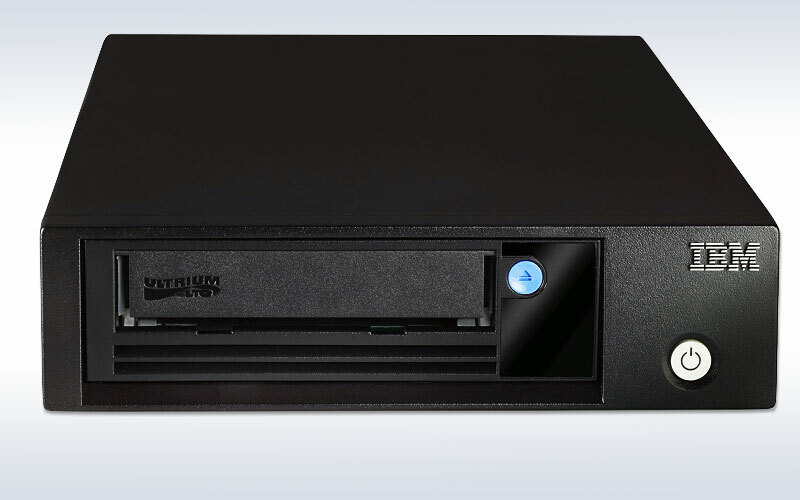 IBM feature 8442 provides one IBM LTO Ultrium 7 Tape Drive with a dual-port Fibre Channel interface into a TS3310 Tape Library. The tape drive has a LC connector. Pricing: Maximum Midrange’s current (as of the writing) price for the 3576-8442 LTO7 FC tape drive is $9,650 for a new factory sealed unit. Generally, when a new tape standard comes out (as LTO8 did recently) pricing on the previous version will go down. So, it’s best to check with us for current pricing. When you call, we pick up the phone (+1 (855) 932-6627). Or, you can use the form at the end of the page. What Is LTO7: LTO7 tape backup is one generation back from the recently released LTO8 format (IBM TS2280 and TS1080 Model F8A). This puts LTO7 in the sweet spot for price, performance and storage capability. – The 3576-8442 tape drive is meant for the IBM System Storage TS3310 Model L5B (3576-L5B) tape library, which is the base library that can control up to four E9U (3576-E9U) expansion units.